Roberto Martinez has questioned Antonio Conte’s decision to play Chelsea FC forward Eden Hazard in a false number nine role. The Italian head coach has been using Hazard in a forward role in recent months following Alvaro Morata’s struggles at the west London club. The summer signing has struggled to maintain his strong start due to a lack of confidence and a string of injury problems. Hazard has also failed to impress in a false number nine role to result in his premature substitutions in losses to Manchester City and Manchester United. The 27-year-old has failed to score in his last six games in all competitions since being used in an unfamiliar role. Belgium manager Martinez believes Conte is wrong to use Hazard as a false nine. “Eden is not a false nine, for me,” Martinez is quoted as saying by Metro. “At Chelsea, that can work with guys like Pedro around him, but with us we still have Romelu [Lukaku], Michy [Batshuayi], even Dries [Mertens] can play there. 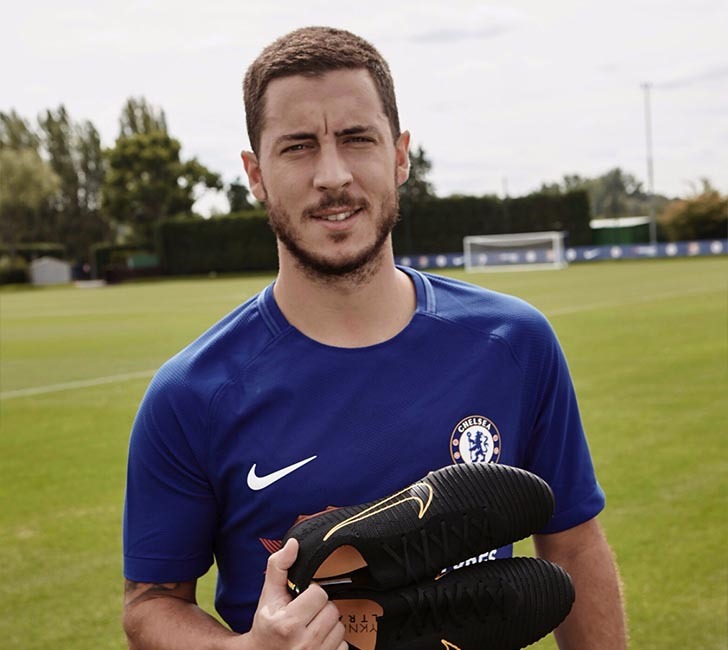 Hazard has netted 11 times in 26 appearances in the Premier League in the 2017-18 season. The Belgian forward has scored three goals and has made three assists in eight Champions League outings. Chelsea FC are in fifth place in the Premier League table and five points adrift of fourth-placed Tottenham Hotspur. The west London side lost 4-1 to FC Barcelona over two legs in the Champions League round of 16.